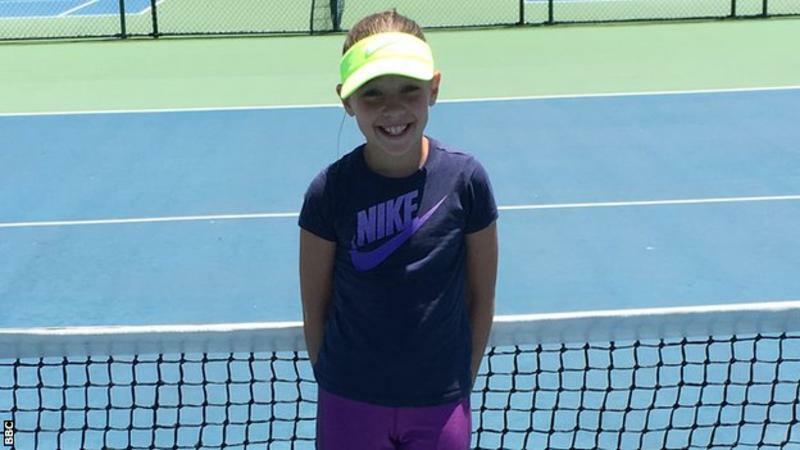 Ray Woods, a Brisbane based dad is raising his two daughters to be the next champs in Tennis. Livinnia and Paloma aged nine and three respectively are already making huge steps in their tennis careers and their dad is behind this motivation. Ray is certain that his daughters will be the next unstoppable duo just like Serena and Venus Williams. The dad is always with his daughters on the courts encouraging them with words of motivation and is always keeping a watch on their diet. Livinnia is going through her adolescent stage and Ray is handling it pretty well saying that she will get over all the overwhelming emotions that come with teenagehood and that more practice on the courts will get her mind off it. He is set to move to Spain with his family in order to give his daughters the much needed professional training as well as a more competitive environment. Livinnia won seventeen competitions at both local and state levels in the past year; we can say that this girl is doing exceptionally well for herself. There have been times where this pro has played against children five times her age, she spends at least 10 hours a week on the tennis court and at least four hours on the running truck. Despite facing opposition from Grand Slam champions such as Martina Navratilova saying that champions are born and not made, Ray is still determined to raise his daughters to the champions he believes they will become. Wood’s family spends at least £250 a week to fund Livinnia’s training and this amount is expected to rise with time when the younger Paloma is ready for the court on a serious level. She is set to begin in May when she turns four. Ray says they will make it all fun and simple just as they did for Livinnia and when she seems more receptive, they will then begin to do it with more intensity. This is one dad the world will be looking up to and all tabs will be on him in his quest to make his daughters successful tennis players. His love and sacrifice for his daughters even amid disapproval from some will bare fruits someday. He, however, says that this is his dream and if there comes a time when the girls are old enough to make their own decision and want to opt out of tennis, he will gladly step back and respect the girls’ wishes.